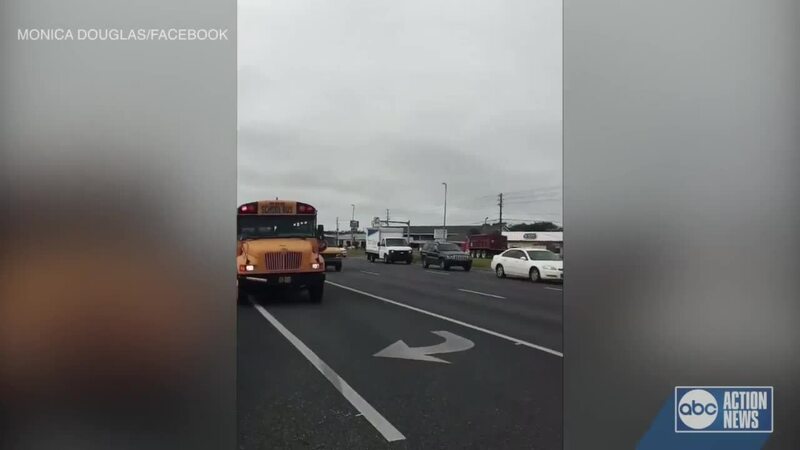 After our story about the Pasco mothers who recorded numerous drivers passing by a school bus with its stop sign out on U.S. 19, Pasco Sheriff's Office stepped in. 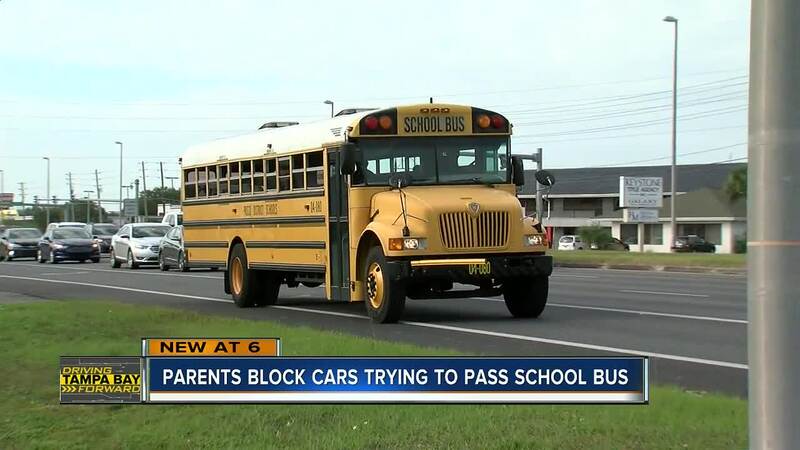 TAMPA, Florida — After WFTS television station in Tampa, Florida aired a story about area mothers who recorded numerous drivers passing by a school bus with its stop sign out on U.S. 19, Pasco Sheriff's Office stepped in. Deputies blocked off the street to make sure they could stop each vehicle that drove past the bus. Twice a day, a group of Pasco County mothers stands at a bus stop along US 19 waiting to record video of drivers not following the law by a stopped bus. Kristen Rieger stands at the stop along Butch Street and US 19 in Port Richey with her eight-year-old daughter and friend Monica Douglas. Douglas told WFTS reporters she has gone toward the roadway to film drivers not stopping and to urge them to stop. In several videos, you can see drivers passing a stopped bus with its stop sign arm out, not far from Gulf View Square Mall. A spokesperson for the Pasco County School District said they have stops along US 19, 52, 54, 301 and 41. They ask for students to stay on a sidewalk, far enough away from the multilane roadway. The district added that they can not pull into parking lots because they are private property and they can not stop traffic like they can on a roadway. WFTS looked into accidents along a one mile stretch of US 19 near the bus stop and found 187 crashes since January of 2017. Of those, most were in the afternoon hours. The district said they have reached out to the Pasco County Sheriff’s Office about enforcement in this area.